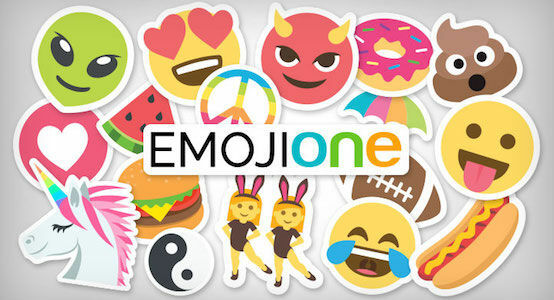 There are a lot of amazing sticker deals online to choose from and you will surely get great value for your money. Our savvy money-saving experts will provide you with useful tips for you to save money when you buy sticker books and wall decals. Get access to awesome product options on amazingly great discounts plus you get to choose from the most reliable online retailers including Amazon, Home Bargains, and eBay. Get as much as 30% discount on selected items. Our team of community deal hunters has listed the latest deals and promotions you may want to check out. Dark Light Side Switch Vinyl Decal Sticker- FREE DELIVERY! 12% Off!! 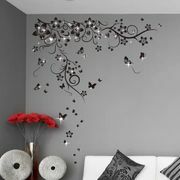 Tree & Flowers Wall Sticker - Almost HALF PRICE! All the best stickers on sale you can find online! Stickers are labels. 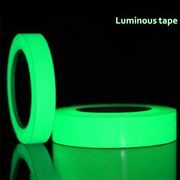 They are printed on a piece of paper made of plastic, vinyl or any other kind of material. Usually, they are used to decorate, depending upon the situation you intend to utilise them. When you shop for stickers, you may stumble upon them in different sizes and colours. The same is also true with designs. You may see them on lunchboxes, lockers, paper, walls, cars, notebooks, windows, and many other. Thus, temporary name tags are their examples. These days, it is typical to see brand stickers which are attached to products as labels. They may come from certain kinds of companies. For convenience, label dispenser is also present these days. It may be possible to buy this in case you are starting a business. As for stickers placed on automobile bumpers, which are referred to as bumper stickers, they are meant to demonstrate support for ideologies, if necessary. On the other hand, there are also stickers for scrapbooking pages. 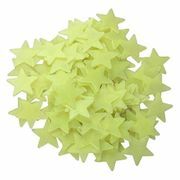 These are sold for 3D, cardstock, acrylic, epoxy fabric, among many other functions. Stickers are a great way to decorate your space or to express your personality. They come in different types including custom stickers and removable wall stickers. 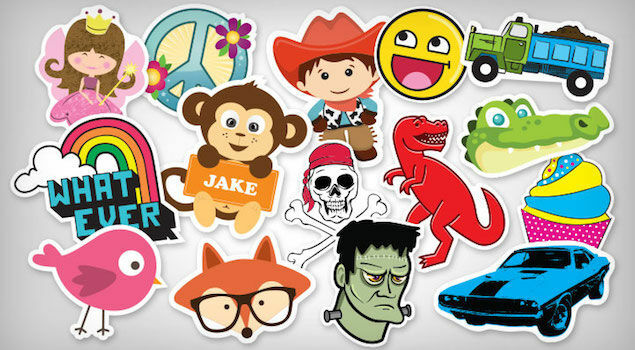 You don’t have to spend a lot from your budget when purchasing stickers online with the help of Latest Deals. Here you will find affordable quality bathroom stickers for tiles, printed labels on a roll, kitchen wall art stickers, personalised photo stickers, wall sticker quotes for your bedroom or living room and so much more. You can even create your own with cheap sticker maker and sticker printing machine. We have community of bargain hunters who are always on the lookout to find the best sticker deals, sale, special offers, discounts, and price drops from major UK retailers. We also have a team of money-saving experts who regularly share essential tips and tricks that will be able to help you save on your instore and online shopping. Majority of online UK retailers have sale events, seasonal clearances, and flash sales where you can get up to 70% off on on a wide selection of stickers. They also have 3 for 2 offers you can take advantage of for more savings. Watch out for their Black Friday and Boxing Day deals where their prices are reduced even further. If you want to further your savings, make sure to use the latest sticker discount codes we have here. We also have sticker voucher codes where you can get freebies or free shipping. Sticker Paper Stocks. Sticker paper stocks are usually for indoor applications. 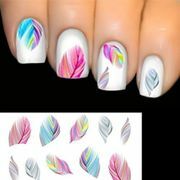 They are not that durable and they are unlikely to last long unlike vinyl stickers which is made up of a weather resistant material. If you are going to use them for outdoor purposes, they will surely deliver. Besides the two major stocks, static cling stock is also common. This is again bound for indoor applications. Car Stickers. Car stickers are called auto stickers. They are popular for commercial purposes. Hence, they are the primary tools in marketing and advertising. Businesses use car stickers for labelling. They are effective in launching services, products and special promotional offers. The best thing about them is that they can convey message on the road. They are dubbed as moving billboards. Wall and Window Stickers. Wall and window stickers are known to be the largest types of stickers. They are said to have replaced wallpapers and blinds already as far as domestic applications are concerned. Usually, the wall and window decals are printed out with the use of a thick vinyl stock. They are durable and they can last long. They are also easy to both install and remove. What is even better is that you do not even have to worry on any sort of residue that is going to be left on the surface when you remove it there. It has been a growing trend for businesses, offices and homes to utilise wall decals. For businesses, it is understandable that such is used to advertise sales and relay important information to most customers. As for homes, they are seen as tools for interior decorating. 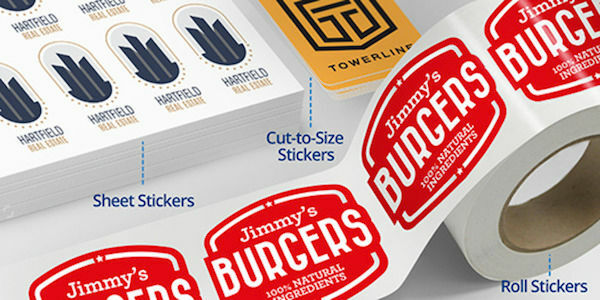 Stickers enable you to design customisation. One of the best things about stickers is that they are highly-customisable. They include logo wall decals, vinyl wall graphics and even vinyl wall lettering, among others. To top this, you can also decide to customise yours to a length that you prefer. Even the shape can be modified, depending on how you want it to look like. Stickers are available for indoor and outdoor. This means that there are many options you can choose to apply your decal. Hence, most of the wall decals and the vinyl graphics are smooth for indoor surfaces. However, there are also options that can work for bricks and rough surfaces, which are common outdoors. They can be seen for concretes, sidewalks, and other kinds of surfaces you may think about. Stickers are wall friendly. There are stickers out there which are friendly both for home and business. While it is true that adhesive is used for them, you can be relieved because they will not damage your wall. They will also not leave any glue residue behind. This is why you can think about employing it whether for long-term or short-term. You do not have to fear of damaging anything. Neat Pincer Grasp. When kids peel little pictures, they should have neat pincer grasp so that they can pull up the edge of the sticker from the sheet. Thus, this is when they need their fingers to grip the small area. This may be difficult so the child can somehow practice their skill area on that. It is of the same effects with string, beads, and others. Bilateral Hand Coordination. This skill is necessary in various functional tasks. From cutting with scissors, zippering a coat and handwriting - these are activities that call for bilateral hand coordination. If you want this to be developed in your kid, always use large pieces of paper and small sheet of paper in various positions. Visual Scanning. Visual scanning is crucial for writing, reading and even scanning from a crowded room. This also happens when kids scan a sticker sheet to peel off the sticker they prefer. Hence, let them position stickers over a certain page. You can also ask them to look for a certain specific sticker so that they can practice. Spatial Awareness. There are people with difficulty in spatial awareness. This can affect daily tasks including reading and writing. To improve this, let your child use visual cue. Such should not be hard because kids can still see the bright colour of stickers. Sensory Exploration. With stickers, your kid may be able to discover textures of scratchy, puffy, smooth and fuzzy stickers. You can also make this as a reward whenever you find your child does something worthwhile.